Recall that some group of Nigerians recently in the social media, called for the scrapping of SARS over alleged harassment of innocent Nigerians, using the #EndSARS. 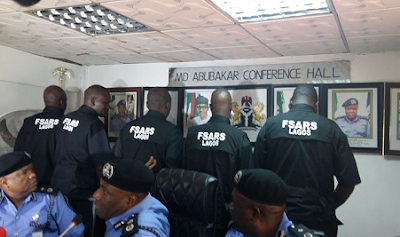 Following the allegation, the Inspector- General of Police , Mr Ibrahim Idris, promised to restructure and reposition the unit for effective service delivery. “The Nigeria Police force under my leadership shall operate strictly guided by the human rights principles as enshrined in the United Nations charter on human rights,”he said.